Timmonsville, SC – William L. “Billy” Ward, 76, passed away on Jan. 15, 2019. Funeral services will be Saturday, Jan 19, 2019 at 2:00 p.m. at First Free Will Baptist Church, Florence. Interment will follow at Bay Branch Free Will Baptist Cemetery,Timmonsville. The family will have a time of visitation on Friday evening from 6:00 to 8:00 p.m. at the funeral Home. Mr. Ward was born in Florence County, the son of the late Earl and Iris Dorriety Ward.Billy was a dedicated family man, loved his community. He was a member of First Free Will Baptist Church. He was instrumental in founding the Sardis-Timmonsville Fire Department. He served for thirty-five years with the Fire Department, and was the Chief for years. 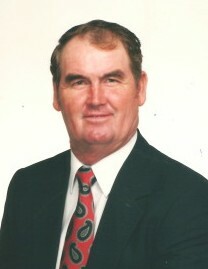 Billy was the owner of “Billy Ward Farms”, farming was his life. Surviving are his wife of 58 years, Fannie Watford Ward; a son, Will Ward;a daughter, Jennifer McGee(Aaron Stemphoski); sister, Shirley Holiday; six grandchildren,Jeremy McGee, Lane Ward, Faith Ward, Gabe Odom, Cristian Stemphoski, Amanda Stemphoski. He preceded in death by brothers, Marion, Arnold, Don and Alvin Ward and a sister, Carolyn Ward. Memorials may be made to the Alzeheimers Assoc., P.O. Box 96011, Washington, DC 20090. Include a note with the donation if you want it to go to the SC chapter.